Our Florida Citrus Vodka was was a delightful accident. 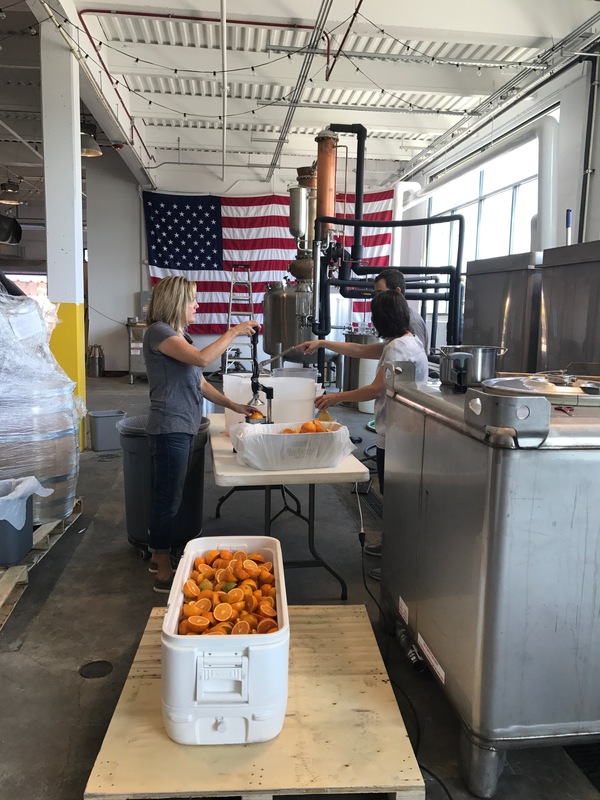 During our Gin production, we created individual botanical distillations, some of which were different types of citrus peels. During our fractional blending, we ended up mixing a few different citrus distillates together without any other botanicals and tasting it. At that point, we know this was our best little mistake. As most things that are supposed to happen go, we were put in touch with the absolute nicest guy, Cecil, who owns C&S groves down in Palatka, Florida. 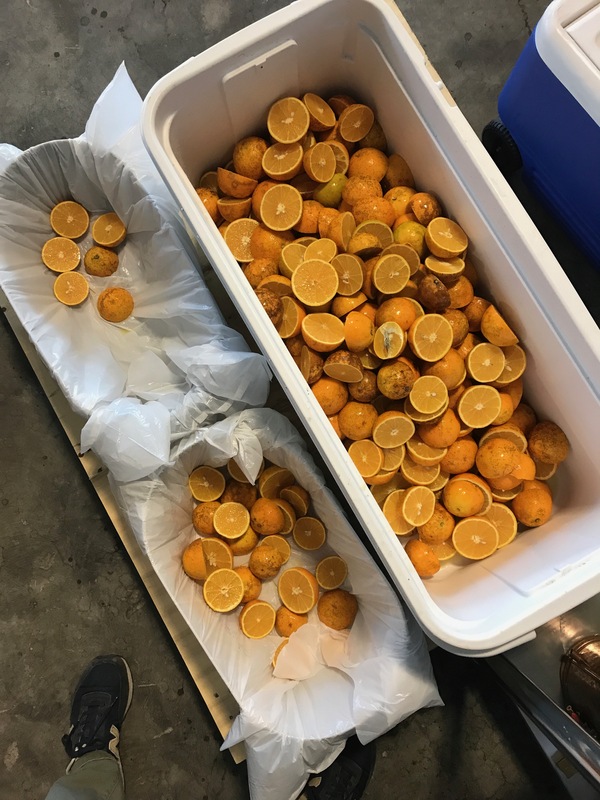 Our head distiller, David and our head of sales, Tom, went down one morning to check things out and ended up driving back with 600 pounds of the tastiest Florida citrus. Tom and our lead distiller Mike went back down a week later to pick up another 200 pounds to round out our final count for the recipe. Technically, we have to classify this as a flavored vodka, which comes with a lot of associated opinions. Most flavored vodkas use flavoring agents, additives and sweeteners to deceive your pallet into liking it. Just like we approach all our spirits, we believe that whatever we are making should be the purest form of that category. As mentioned above, we knew early on that this recipe was something we had to use. 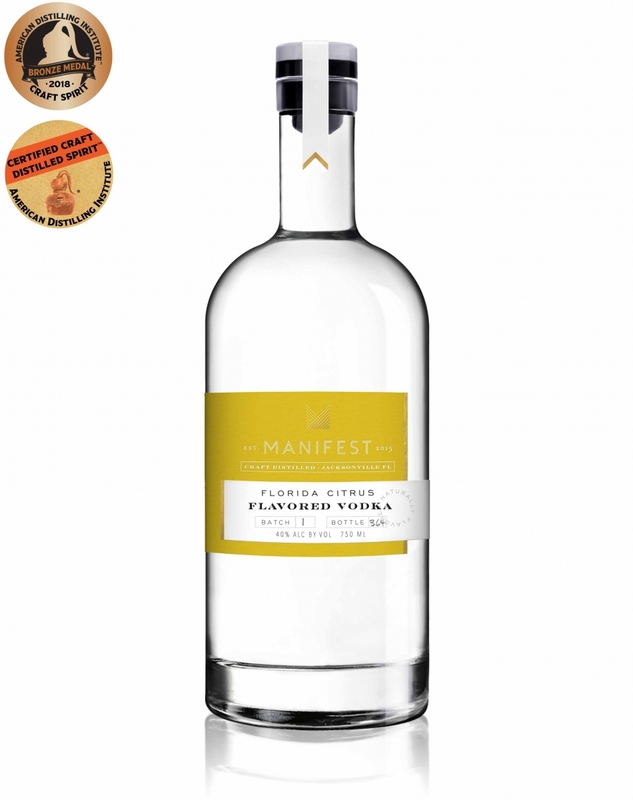 However, we had trouble initially finding the volume of high-quality local citrus needed to produced this spirit. 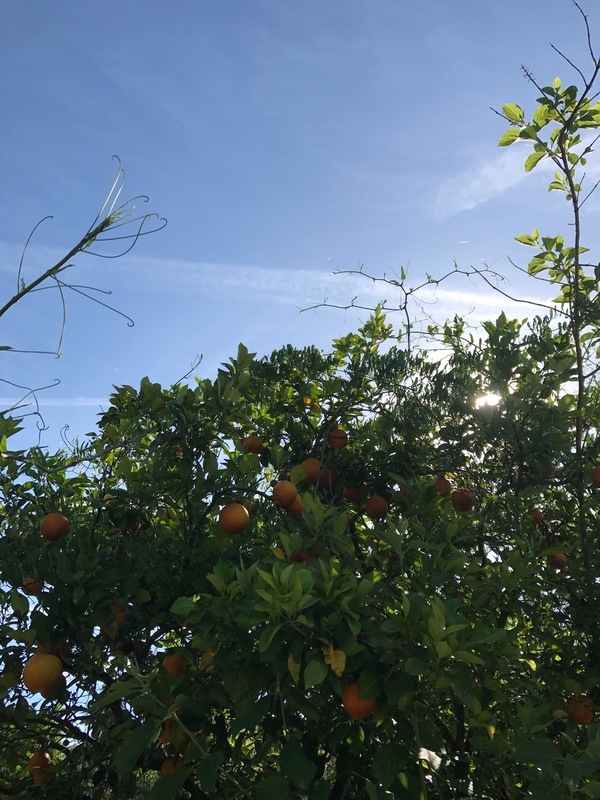 Thanks to our friends Amy and Lauren over at Edible Northeast Florida, we learned about C&S Groves, which is in San Mateo, Florida. After one short phone call with Cecil, Tom and myself met down at the grove in Palatka to inspect the fruit. Upon walking the grove with Cecil it was evident we had found our fruit. We harvested on 5/8/17, which is very late in the citrus season. The fruit we picked was the last the trees had to offer and was incredibly ripe. Since we don't use any of the juice in our production, the quality of the peel was most important. Much of the flavor of our Citrus Vodka comes from the citrus oils that leech out into the high proof neutral spirit prior to distillation. 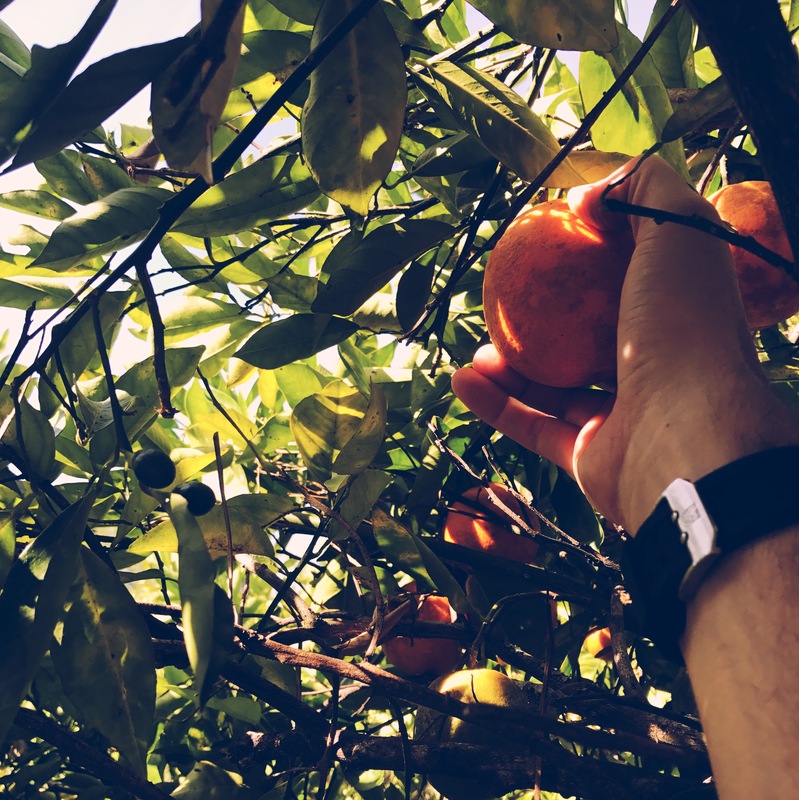 That day, we picked 600 lbs of Valencia and Parson Brown oranges as well as pink grapefruits. A week later Tom and Mike went back to the grove to pick up 200 lbs of Meyer lemons. 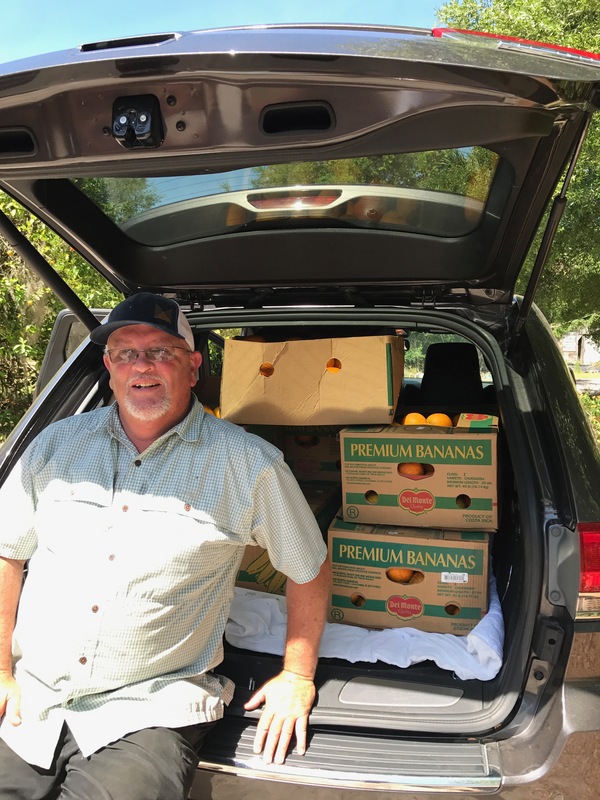 Tom Johnson, our head of sales, looking proud with a truck full of fruit. Despite what the box says, those were not bananas. Upon returning we put all the fruit on a pallet and stuck it in a walk in cooler to preserve the freshness. On May 12th, we called all our friends and staff in for a day of juicing. We washed the fruit, cut it, and pressed it over the course of 8 hours. 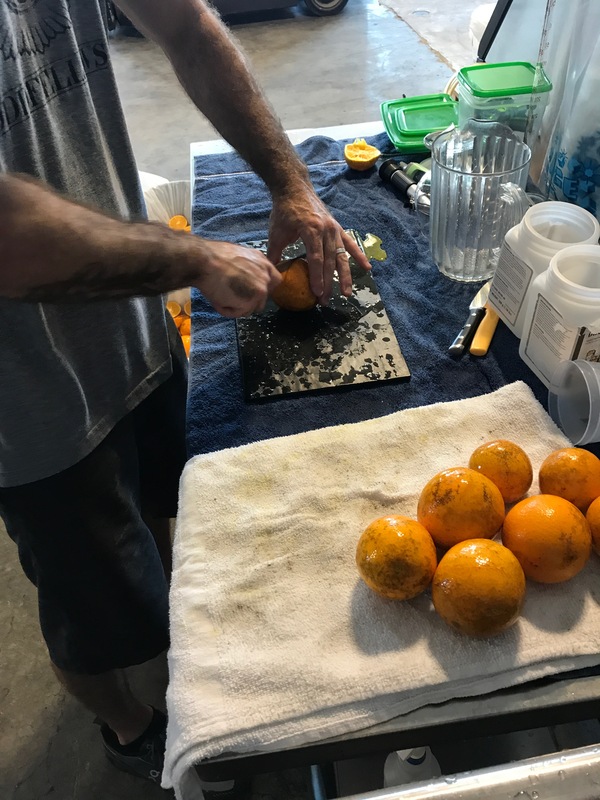 Once we pressed all the fruit we separately macerated each type of citrus for over two days. We then decanted the high proof neutral and combined all of it for a re-distillation in our pot still. The result was the cleanest, most pure expression of a Florida Citrus Vodka. Hopefully, you're enjoying a tall cold glass right now as you read this.